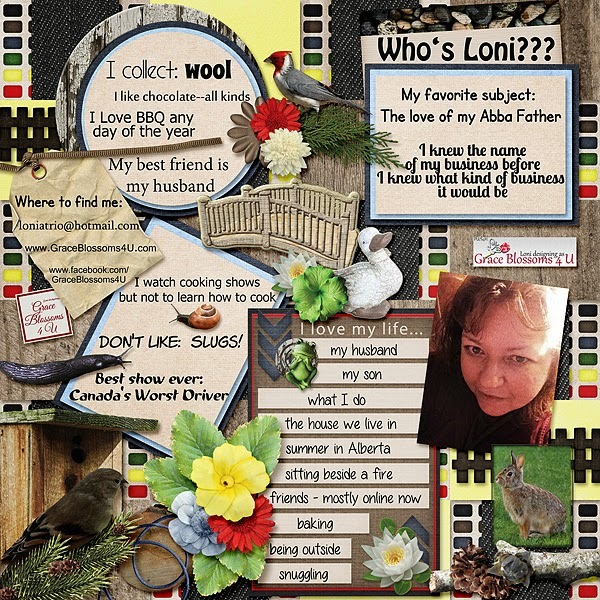 MyMemories Blog: Meet Today's Daily Designer......Grace Blossoms 4 U! 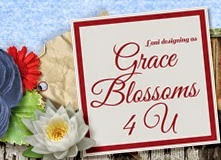 Meet Today's Daily Designer......Grace Blossoms 4 U! My favorite memory is about ‘meeting’ my husband. I had joined an online dating site. You know, where you fill out some questionnaire and click on peoples’ profile and get to know them. Well, this one guy sent me a message saying he was interested and would like to get to know me. I went and looked at his profile and most of it was blank! I had spent a lot of time filling mine out, making sure it said exactly what I wanted to say, so this did not impress me in the least! I decided to let him down easy and so I told him I thought we had nothing in common so I didn’t want to waste his time. He responded with, “Just because we have nothing in common doesn’t mean we can’t talk, right?” WHAT??? Well, anyways, that was the beginning of the beginning in 2007 and we have been inseparable ever since. He still bugs me about that and I am so grateful he didn’t take ‘no’ for an answer.